Dandruff is known as a common skin condition affecting your scalp, eyebrows, ears, beard and the sides of the nose. Dandruff appears as dry, flaky skin on the scalp or other body’s areas along with inflamed skin. Chronic dandruff can be embarrassing and uncomfortable. When you have dandruff, you may see white flakes on your clothing, especially if you wear dark clothing. 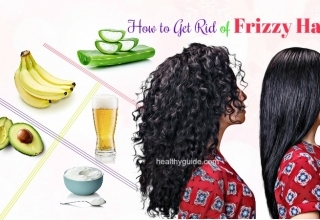 You can get rid of dandruff and prevent it from developing on the scalp or other body’s areas by using home remedies and professional products. 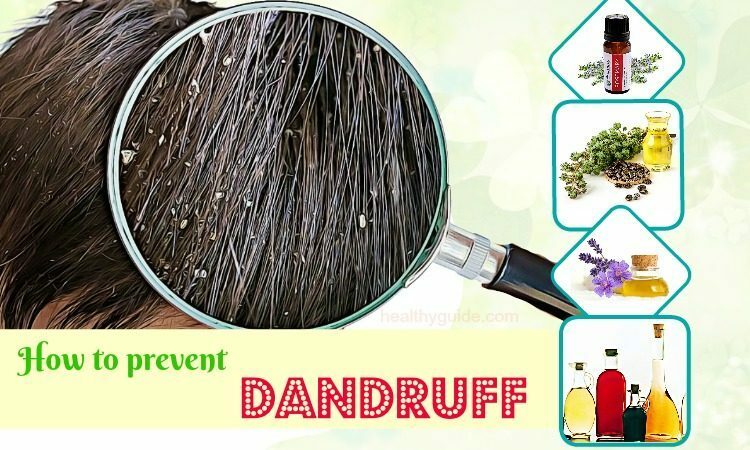 Nonetheless, before learning about natural ways on how to prevent dandruff in babies and adults, you need to know what causes this hair problem. Have a quick glimpse on Healthy Guide! List of 16 Most Common Hair Problems In Men And Women Are Revealed! will show you some of the most common hair issues in both women and men, so check it out! This should be the first way on how to prevent dandruff in adults that we want to mention in this article. Coconut oil can penetrate deep into your epidermis. It is rich in medium-chain fatty acids, which can help in treating dandruff. Apply some coconut oil directly to the scalp and let it sit on for several minutes. Repeat this remedy once a week until your dandruff has gone completely. If you are unsure about how to prevent dandruff in babies, then you can take advantage of olive oil. Actually, olive oil can moisturize your dry scalp and prevent it from flaking. Besides, olive oil easily penetrates into the scaly areas of your scalp, making these scaly areas fall away in one large piece in lieu of separate flakes. Apply a few drops of warm olive oil to the scalp. After that, wash your hair with shampoo. 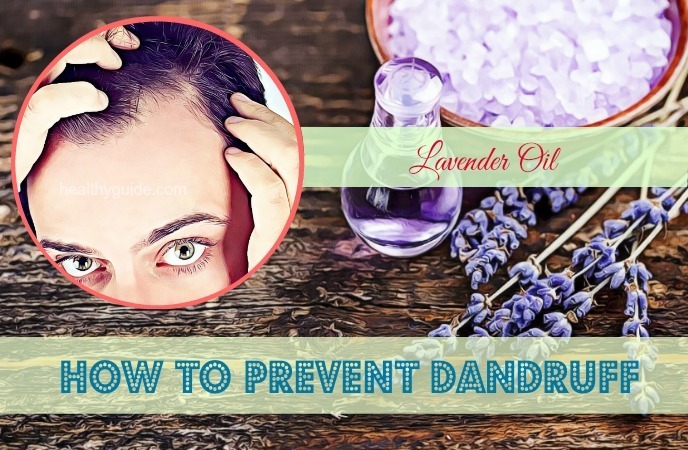 Read on 15 Best Natural Home Remedies For Dandruff On Scalp This Winter to discover some of the best natural treatments for dandruff on scalp in the winter. Castor oil contains antimicrobial properties, so it can be used to treat scalp problems like dandruff. Besides, castor oil also keeps both the hair and scalp moisturized. Apply the warm oil on your scalp and hair. Gently massage your scalp for several minutes. Let it sit on overnight and rinse it off the next morning. Note: If your scalp is sensitive, you should dilute castor oil with coconut oil before applying. Bananas are rich in B vitamins, which help increase blood circulation and simultaneously keep your scalp clean and healthy. 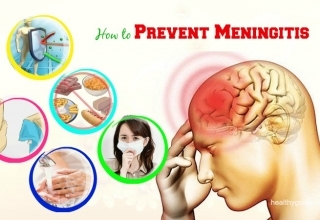 Meanwhile, apple cider vinegar contains fungicide properties, which help in treating dandruff. Firstly, peel a whole banana and then mix it with 2 cups of apple cider vinegar. Stir them well until you create a smooth paste. Then, apply this mixture to your scalp and hair. Let it sit on for 20 minutes before rinsing off your hair with water. Repeat this home remedy every morning for a week. After that, you can follow it once a week. According to a study about tea tree oil for scalp problems , tea tree oil contains powerful antifungal and anti-inflammatory properties, making it one of the best natural remedies for dandruff. According to a study, people who used 5% tea tree oil shampoo for about a month had a 41% reduction in dandruff while those who utilized shampoo alone had an 11% reduction. Add a little bit of tea tree oil to some of your shampoo. Mix them well and then apply this mixture into your hair and scalp. Wash it off after leaving it on for about 5 minutes. Repeat this home remedy once per day for about a week. If you are looking for 100% certain way on how to prevent dandruff at home, then you do not skip neem leaves. Boil some neem leaves for about 30 minutes. Then, make a paste from neem leaves before applying it to your scalp. Note: Your scalp may itch after you apply the neem paste. You do not need to worry because this sensation is normal. Neem leaves contain powerful antifungal properties that have been found to be effective in treating and preventing dandruff. Besides, they also contain anti-inflammatory and antibacterial properties. Crush some dried neem leaves to create a powder. Coconut helps preserve the natural proteins of your hair. Also, according to a research, honey is very effective in treating dandruff thanks to its antimicrobial agents. Mix 2 tsp. each of olive oil, coconut oil and honey with 3 tsp. of yogurt to create a paste. Gently massage it for about 10 minutes. Finally, apply some coconut oil to your scalp and hair. Note: Just wash off your hair with shampoo once in order to avoid stripping the moisture of your scalp. The yeast within the body causes inflammation and the yeast buildup on the skin. And, increasing the friendly bacteria inside the digestive systems can help reduce the buildup of yeast. We all know that yogurt is a great source of friendly bacteria and probiotics, making it one of the great solutions for dandruff. Firstly, shampoo your hair as normal. Apply a cup of plain yogurt to your scalp and let it sit on for 15 minutes. Finally, wash it off again using a little bit of shampoo. If you want to know how to prevent dandruff at home by using at-home ingredient, you do not skip garlic. Garlic contains powerful antifungal properties that can help reduce the microbes causing dandruff. Crush a few garlic cloves and then mix it with 1 tbsp. of honey to create a smooth paste. Finally, shampoo your hair as normal. Lemon juice is high in citric acid, which helps reduce dandruff from the hair roots. Besides, it also contains antimicrobial properties. Squeeze 1/2 lemon into a bowl of curd and then mix them well. Then, apply this mixture to your hair and gently massage it. Leave it on for about 10 minutes before washing it off with shampoo. Note: After using this remedy, you have to shampoo your hair because curd tends to leave an uncomfortable odor. The abrasive nature of salt can help in falling off the dandruff flakes before shampooing your hair. 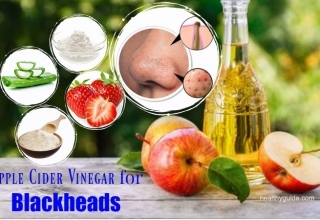 Vinegar can help kill off scalp fungus and bacteria; therefore, it can help in preventing dandruff and treating dry skin. Besides, the acid content found in vinegar helps reduce the scalp itchiness. Boil 2 cups of vinegar and allow it to cool down. Then, mix 1/8 of the vinegar with a cup of water. Massage your scalp with this mixture before shampooing your hair. Alternatively, add 1 tbsp. of vinegar to the last rinse water. Note: Avoid letting the vinegar get into your eyes because it may irritate your eyes. 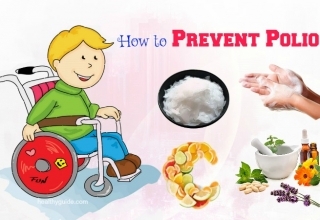 There are other effective ways on how to prevent dandruff fast in this interesting article. So, you should continue to keep both of your eyes on this article and then consider applying any of these remedies. The acidic nature of apple cider vinegar can help balance the pH levels of the scalp, hence controlling the yeast growth. 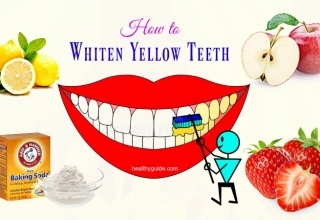 Mix equal amounts of water and apple cider vinegar. Then, pour this solution onto your hair and massage it into the scalp. Leave it on for 15 minutes before washing it off with clean water. Repeat this remedy daily for one week. Note: Avoid letting this mixture get into your eyes. Fuller’s earth can absorb the grease, oil, and dirt, all of which lead to dandruff. Besides, this herb also helps improve blood flow to the scalp, hence keeping the scalp dandruff-free. Mix a cup of Fuller’s earth with the sufficient amount of water until you create a smooth paste. Finally, wash off your hair and scalp with clean water. The baking soda can be used to remove dead skin cells and simultaneously reduce excess oil on the scalp. Initially, your hair may get dried, but after two weeks of application, your scalp will have more natural oils. Moreover, according to a research about natural remedies for dandruff , baking soda can help reduce the overactive fungi causing dandruff. Rub 1 tbsp. of baking soda into your scalp and hair. Note: Avoid leaving baking soda on the hair for a long period of time because it can dry out the hair. Fenugreek seeds contain many essential vitamins and minerals, making them one of the best home remedies for dandruff. Firstly, crush 1 tbsp. of fenugreek seeds. Strain this mixture, and then rinse your hair with this liquid. Baby oil does not have fats that are consumed by the fungi; therefore, it helps in preventing and treating dandruff. Massage your scalp with some baby oil. Cover your head with a towel and let it sit on overnight. The next morning, wash it off with your shampoo. This sounds strange when it comes to learning how to prevent dandruff at home, but it actually does work. Egg oil is rich in omega-3 fatty acids, which help strengthen your hair follicles. Besides, the egg oil also has cholesterol to help reduce dandruff. Massage some egg oil into your scalp and let it sit on overnight. The next morning, shampoo your hair with your mild shampoo as usual. Repeat this home remedy 2-3 times a week for about 3 months. Biotin is very important for treating dandruff. And egg yolks are known as one of the greatest sources of biotin. Apart from treating dandruff, egg yolks can make your hair healthier and condition your hair. Firstly, whish 1-2 egg yolks in a bowl. Then, cover your head with a plastic bag and leave it on for 60 minutes. Cedarwood oil contains anti-seborrheic properties that can help prevent dandruff as well as other scalp problems. Mix all of the ingredients and then apply this mixture into the scalp. Let it sit on for about 60 minutes. Alternatively, mix the same amounts of the oils in about 2 cups of water, and then use this mixture as your final rinse water. This is worth mentioning in this list of simple yet effective ways on how to prevent dandruff at home due to its benefits for haircare. The orange peel contains acidic properties, so it can be used to reduce excess oil and condition the scalp. Place a few dry orange peels and 5-6 tbsp. of fresh lemon juice into a mixer. Mix them well until you create a smooth paste. Let it sit on for about half an hour before rinsing it off with shampoo. Repeat this home remedy 2-3 times per week. Listerine mouthwash contains antifungal properties, so it can be used to fight the yeast causing dandruff and prevent it from growing. Mix 1 tbsp. of Listerine mouthwash with 9 tbsp. of water. Then, rinse it off with the mouthwash mixture. Leave it on and style your hair as normal. Another natural way on how to prevent dandruff fast is using aspirin. Aspirin contains salicylates, which help exfoliate the scalp and simultaneously prevent dandruff. Crush 2 aspirin tablets to get the powder. Then, mix this powder with some of your shampoo. Leave it on for about 2 minutes before rinsing it off with water. Baking soda helps reduce the overactive fungi causing dandruff. 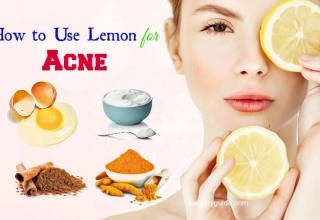 When you combine it with lemon juice, you will have a great solution for dandruff. Then, apply this paste to your scalp. Leave it on for 10 minutes before washing it off with water. Rosemary oil is great for dry and flaky scalp. It increases blood flow to the scalp and simultaneously promotes hair growth. Note: Before using this treatment, you should do a patch test. The imbalance in the scalp’s pH levels is a common cause of dandruff. And, the acidity of lemon juice can help balance the scalp’s pH levels, hence keeping dandruff at bay. Meanwhile, coconut oil contains antibacterial and conditioning properties, which can make your hair healthier and stronger. Mix 1 tsp. of lemon juice with 5 tsp. of coconut oil. Finally, wash off the hair with a mild shampoo. Note: If you have minor wounds or cuts on your scalp, you should not try this remedy. This is because lemon juice can aggravate these wounds. When it comes to learning how to prevent dandruff naturally, apple juice is a really amazing dandruff treatment. Besides, according to a research about beauty benefits of apples , apples contain a natural compound that can be used to promote hair growth. Note: Do not add a large amount of water to the apple juice because this can reduce the efficiency of this treatment. Aloe vera contains natural fungicidal and antibacterial properties. 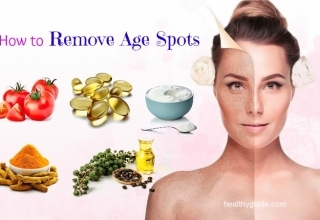 Besides, it can work as an exfoliant and helps remove the dead skin. Apply the aloe vera gel on your scalp. Leave it on for 15 minutes before washing it off with a mild shampoo. The dried henna leaves can be used in treating lots of hair problems, including dandruff. Besides, henna can bind to the keratin in the hair, creating a protective layer and simultaneously relieving scalp irritation. It also works as a natural conditioner and reduces oiliness of your scalp. Mix 1 tsp. each of amla powder, henna, tea powder, coconut oil and lemon juice until you create a paste. Apply this paste to the scalp and let it sit on for several minutes. Jojoba oil contains vitamin E that can nourish the dry and flaky scalp and also keep it hydrated. Also, jojoba oil promotes hair growth. Actually, jojoba oil is known as one of the best ways on how to prevent dandruff in adults that you should try out! Apply the warm jojoba oil to your scalp and gently massage for several minutes. Rinse off your hair as usual. Witch hazel contains astringent and antibacterial properties, which can help in controlling dandruff fungus growth. 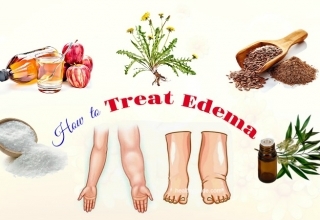 Besides, it also contains anti-inflammatory properties that help in reducing itching. Pour ½ cup of witch hazel liquid and ½ cup of water into the spray bottle. Shake it up and then spritz this solution on your scalp. After 15 minutes rinse it off as usual. Note: For oily scalp, apply some witch hazel liquid on your scalp for better dandruff control. 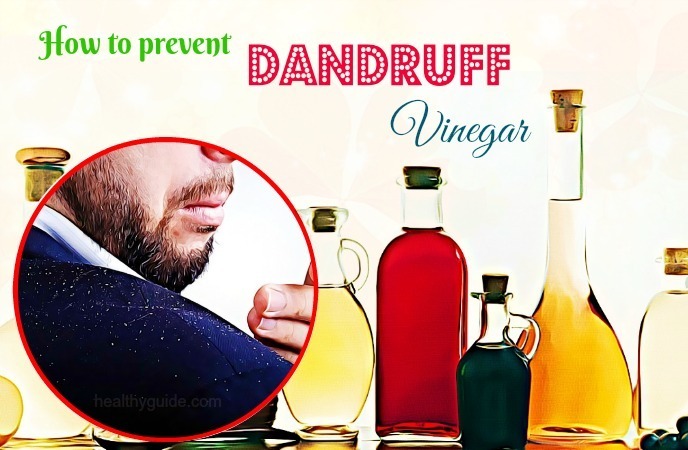 Do you want to know other great home remedies for how to prevent dandruff naturally at home? 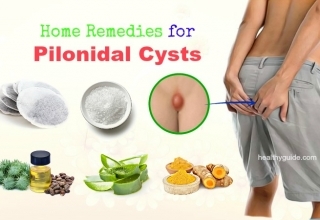 If yes, you should keep reading this article and then apply one or more of these natural remedies at home for good. Allow the decoction to cool down. Apply this liquid on your scalp and let it sit on for half an hour. Another natural way on how to prevent dandruff at home is using oregano oil, which is highly recommended for hair problems. Containing antifungal properties, oregano oil can help eliminate the fungus causing dandruff. Rinse off your scalp and hair with this mixture. Repeat it whenever you shampoo your hair. Note: Do a patch test before you plan to use oregano oil for preventing dandruff. Fish oil provides your body with omega-3 fatty acids, which contain anti-inflammatory properties to help you heal dry and flaky scalp and prevent dandruff. 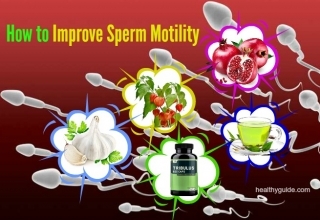 Simply, you just need to take 1-2 fish oil capsules daily. According to a study about benefits of basil for skin and hair , basil leaves are known for their antifungal and antibacterial properties, and they can be used to improve the scalp’s strength and prevent dandruff. Mix 2 tsp. of amla powder and a few basil leaves in 2 tsp. of water to create a smooth paste. Apply this paste to your scalp and let it sit on for half an hour. 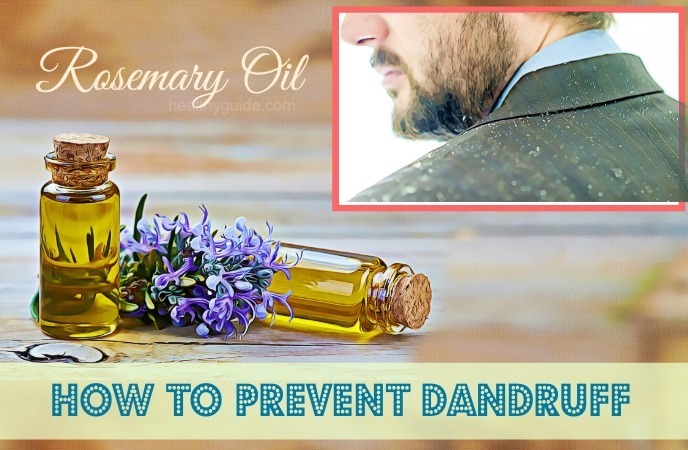 In regard to learning how to prevent dandruff in adults, using lavender oil seems lesser known by us. Lavender oil contains antifungal properties, and it can help soothe your irritated scalp. Then, apply this mixture to your scalp. Let it sit on for half an hour before rinsing it off. Note: Do a patch test before you plan to use lavender oil for preventing dandruff. Ginger contains anti-inflammatory properties and other powerful components. Therefore, it can be used to prevent dandruff and stimulate hair growth. Peel a small piece of ginger and then grate it. Then, squeeze it with the help of the cheesecloth to get the ginger oil. Gently massage your scalp with this oil mixture. Leave it on for several minutes before washing it off with a mild shampoo. One of the best treatments for how to prevent dandruff fast that has been used by many people is using neem oil. Actually, Neem oil contains antimicrobial properties that help in preventing dandruff. Then, apply this oil mixture to your scalp and hair. Leave it on for about 20 minutes before rinsing it off. 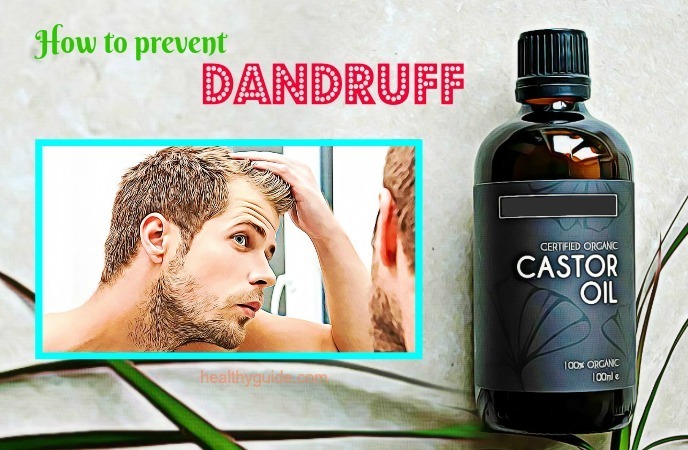 This is the last but very important way on how to prevent dandruff naturally that we want to mention in this article and want all of my readers to apply for good, especially those who have dry and flaky scalp. Practicing good hair hygiene is effective in preventing dandruff from developing and keeping your scalp healthy. If you have irritated or oily scalp, wash your hair and scalp once per day until you can control this hair problem. For the best results, apply the shampoo and massage it into your scalp. Then, leave it on for more 5 minutes before rinsing. If your dandruff shampoo works, reduce the use of the shampoo to 2- 3 times per week. On the contrary, after a few weeks of using, if your shampoo does not work, consult your doctor about prescription treatments. Avoid using styling products like hair gel, hairspray, hair wax and mousses because they can cause the oil buildup on your scalp and hair. Spend more time going outside. However, remember to protect your hair from harsh sunlight rays. Consume more foods that contain zinc , healthy fats and B vitamins. Never share your hair brushes and combs and hair brushes. Always keep them clean. If you need to use a hair dryer, do it on a low setting. Actually, dandruff is not an unsolvable hair problem. 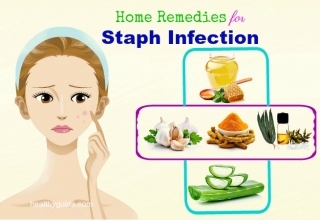 The natural ingredients in your kitchen are very effective in treating and preventing dandruff. However, some of these remedies can dry your hair. So, you should use a good conditioner regularly in order to keep your scalp and hair moisturized. Hope that some of these 40 natural remedies are helpful for your hair issue. If you know other people around you who have dandruff and want to get rid of this scalp issue by natural ingredients, you should share this list with them as soon as possible. Also, do let us know if this list can help deal with your scalp issue by leaving your words at the comment section below. For further simple yet effective beauty tips, remember to visit our Beauty Category.